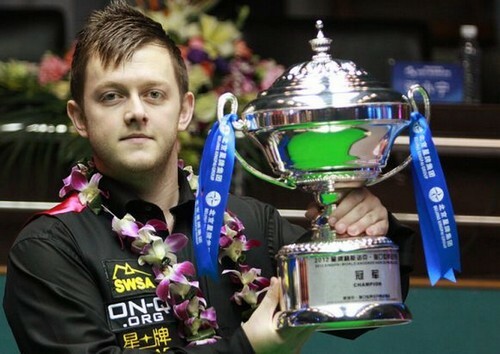 Haikou World Open: Mark Allen won his first ranking title in his career by 10-1 over Stephen Lee in the final in Haikou. The road of the Northern Irish man to win the title was rugged - He took revenge on Judd Trump who beaten him in the UK final last year by 5-4 from 0-3 down as well as defeating the world number one Mark Selby by 6-5 from 2-5 down. His efforts are rewarded today with an easy win in the final to win his first ranking title. 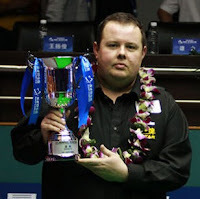 Stephen Lee, who reached his first ranking final in six years is devastated by his opponent with only winning one frame. Allen was in cruise control with a 5-0 lead with runs of 104, 50, 127 and 53 in less than an hour and half before Lee won his only frame in the final, the sixth with 67 to pull one back. Lee was likely to pull another back in the eighth but Allen got the snooker he required and a free ball to steal the frame. 123 in the last frame of the first session put Allen in an exaggerated leading position to win, 8-1. 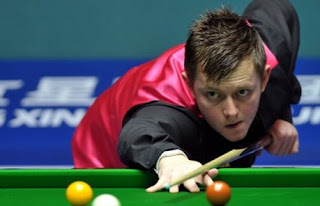 Lee had no fightback and Allen got the two frames he needed right after the kick off of second session. A tournament winning break of 104 brought him the biggest victory in his career so-far and the Haikou World Open title. "I played pretty well today. I started out well and put Stephen under pressure. I think when I was 4-0 up he knew he had to play pretty much flawless for the rest of the match. He showed in the last few months how well he's playing and that he's nearly back to his best," said Allen after the most one-sided ranking event final since Stephen Maguire beat David Gray 10-1 at the 2004 UK Championship. "It's been a long time coming as I've been a pro for seven years now. Sometimes you question if you're ever going to win one especially if you look at the players who have been winning tournaments as I know I'm as good, if not better as some people who have won events so you have to be strong mentally and I think this will be the first of many. The runner-up was very disappointed with his performance today. "Mark got off to a good start and I couldn't get into the match and it went a bit one sided, and ended one sided," said Lee. "I was a bit disappointed at the end of the week but I have had a great time this week and the best man won on the day.